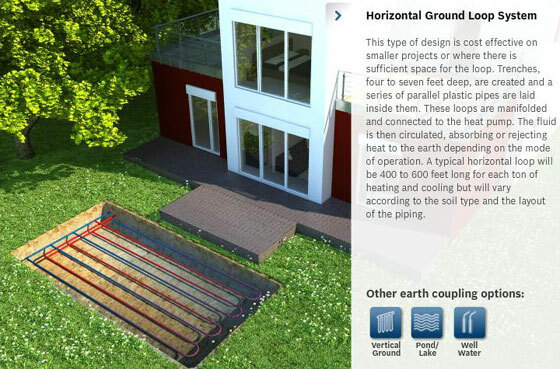 Geothermal systems, also known as heat pumps, made by Bosch, are the most energy and cost efficient systems on the market and therefore the greenest technology for heating and cooling. 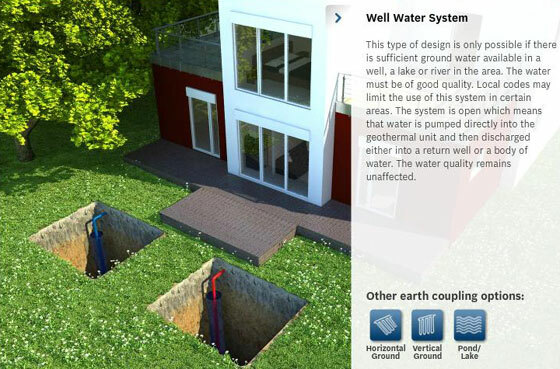 This is one of the many reasons that Bosch equipment is the only geothermal product line that Owens Comfort Systems will install. Geothermal technology uses the relatively constant temperature of the earth (thermal energy) to provide heating, air conditioning and hot water. Ground and water temperatures, 6 feet below the earth's surface, stay relatively constant throughout the year. 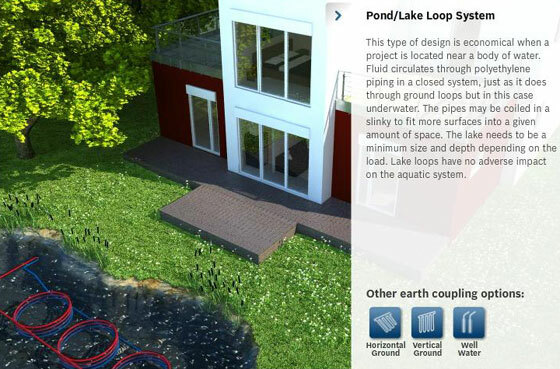 This allows the system to provide extremely efficient heating or cooling all year long in virtually any climate. 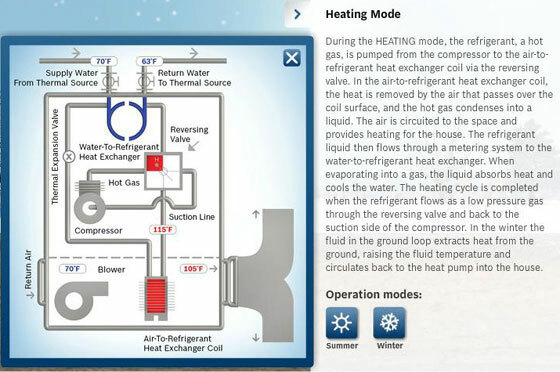 Sometimes the term "environmental comfort system" is used to describe a geothermal heat pump. This term is used because a geothermal heat pump absorbs or rejects heat from the earth and has absolutely no impact on the environment. Depending on the season, our systems allow you to heat or cool your home. Experience a greater level of comfort without the hot spots from a conventional system. 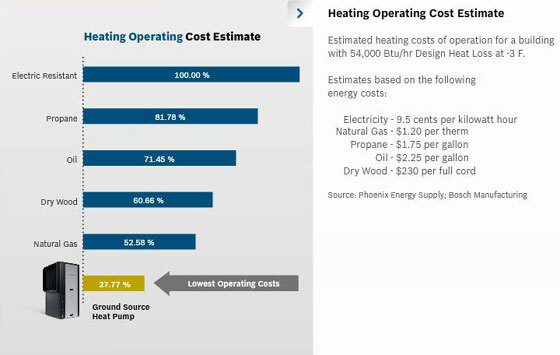 Bos ch units can be equipped with the ability to recover "waste" heat from the compressor to heat you water reducing your hot water bill. Bosch's green technology is the most environmentally friendly way to cool and heat your home. 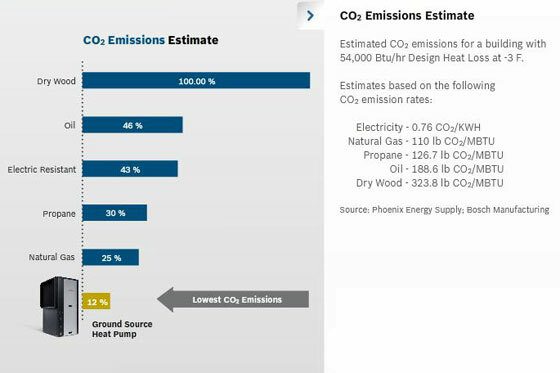 The geothermal systems we install have no carbon dioxide emissions or any other negative effects on the environment. 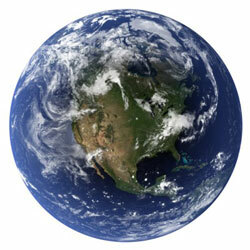 Our installation of Bosch equipment reduces greenhouse gas emissions which are responsible for climate change. Geothermal helps reducing the US dependence on foreign oil. 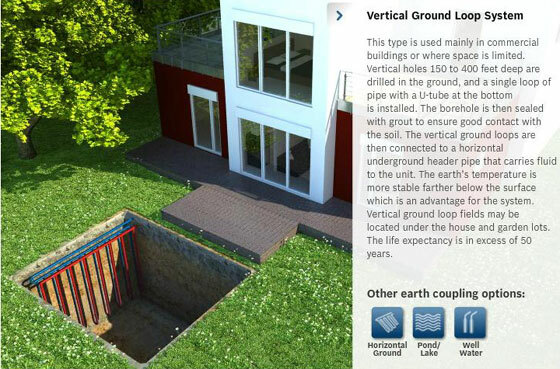 Ground loop systems have a life expectancy in excess of 50 years. Your Bosch system is manufactured with rigorous standards ensuring a high efficient operation over the life of the unit. Our residential warranty offer is among the best you will find on the market. Customer satisfaction is our goal, therefore, Bosch units come equipped with a unique floating base pan and an optional compressor blanket that makes our units the quietest available. Bosch's technology helps to save up to 70% on your energy bills for heating, cooling, and hot water, because it operates more efficiently when compared to conventional systems. Simple payback could be as short as 5 to 7 years and you can experience costs savings from the beginning. With installation in a new home or office, the cost of the system could have a positive cash flow from day one. Geothermal systems use the earth as a heat source and heat to or from the house, heat exchangers (ground loops) are installed in the ground. These consist of high density polyethylene plastic pipes. 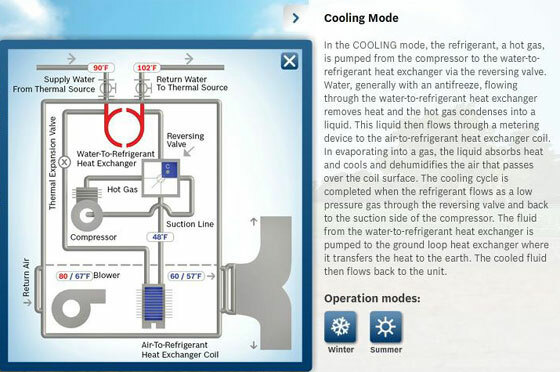 The loops are then connected to the heat pump and fluid is circulated between them transferring the heat between the heat pump and the earth. Get Geothermal installed, maintained or serviced. We are the experts you can trust! Every state has different rebate programs. Take a look at the DSIRE website to get an up to date program for your area. We will assist you with the information you will need to apply for your rebate. 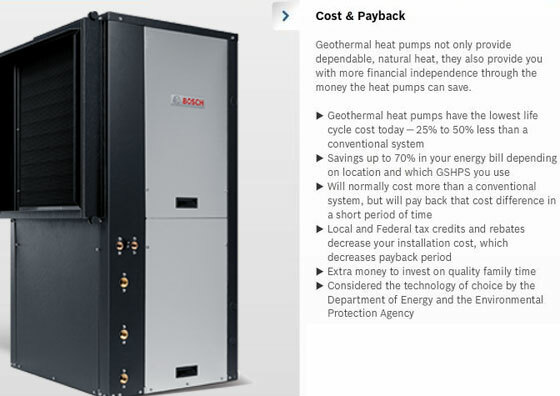 Based on your current or new property you can calculate your savings when we install a Bosch energy efficient Geothermal System. The bottom line is simple. We are the right choice!